Since its initial announcement at E3, there’s been some confusion about Ubisoft Massive’s upcoming title The Division. Is it an MMO? Is there a strict narrative? When speaking with VG 24/7, Massive COO Fredrik Rundqvist cleared up a few key questions. There are a couple of different layers. There is an overarching story line that, as one of the last functioning agencies, you need to set out to solve the mysteries behind the man-made virus. Who was behind it? Who distributed it? How can we cure it? All that stuff. And of course, to do so, you need to first of all survive in this chaos where everyone is fighting for the same resources that’s still out there. And you have all the government services shutting down one by one, because people simply don’t show up for work anymore, right? It’s both helping who is left out there and of course going after the big bad guy, you know, the mystery behind the virus. However, the mysteries behind this virus will not be doled out along a linear crumb trail. Players will collect important information as they play, which will eventually paint a full picture of what the virus is and its origin. The goal seems to be an attempt at storytelling which fits the dynamic nature of the game. That being said, Rundqvist was hesitant to use the term MMO. Solo play is still an option, and PvP combat will be entirely optional, but the story is designed with those aspects in mind. When it comes to creating a character, a “background” will be chosen, which will function similar to a class. But from the outset, a level of customization will be available, with skills and upgradable weapons. Possibly most important of all, reseccing will be possible “right away in the middle of a game.” I’m still not sure what to think about this continual merging of single and multiplayer, but The Division sure has my interest. 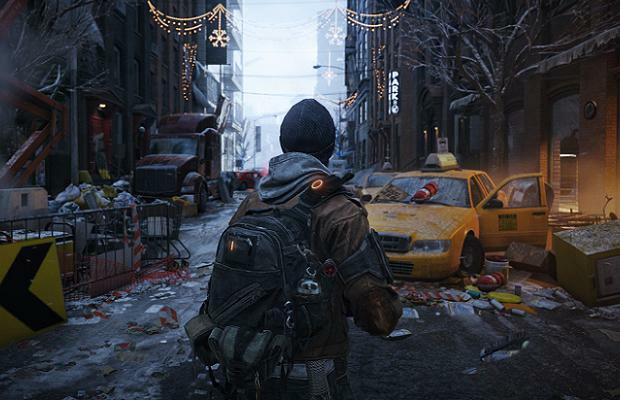 The Division is scheduled to hit the PS4 and Xbox One sometime next year.